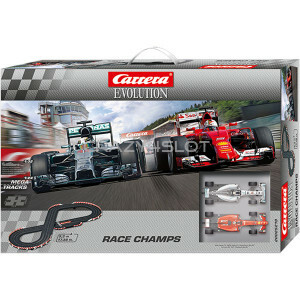 Pack includes:	1 Ferrari SF 15-T S.Vettel n.05	1 F1 W05 Hybrid L.Hamilton, n.44	7 Standard st.. 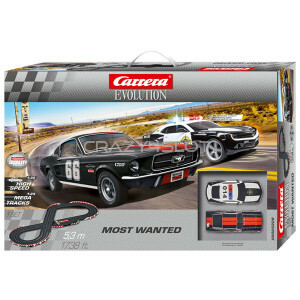 Pack includes:	1 Ford Mustang GT n.66	1 Chevrolet Camaro Sheriff	7 Standard straights	1 Pow.. 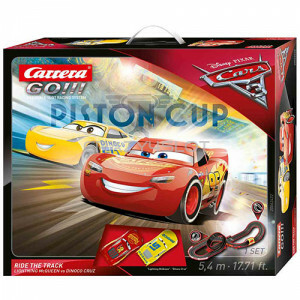 Pack includes:	1 Disney-Pixar Lightning McQueen	1 Disney-Pixar Dinoco Cruz	5 Standard straights	.. 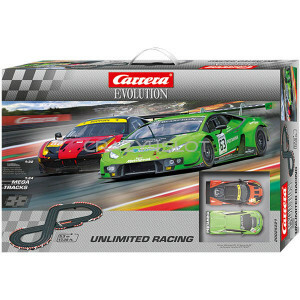 Pack includes:	1 Lamborghini Huracán GT3 n.63	1 Ferrari 458 Italia GT2 AT Racing n.56	7 Stand.. 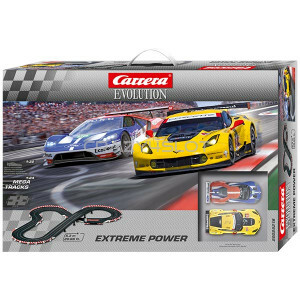 Pack includes: 1 Corvette C7R n.3 1 Ford GT Race Car n.68 6 Standard straights 2 1.. 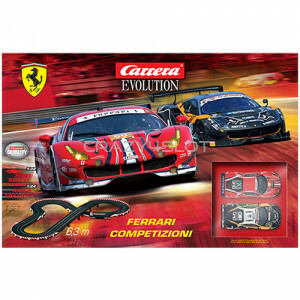 Pack includes: 1 Ferrari 458 Italia GT2 AT Racing no.56 1 Ferrari 458 Italia .. 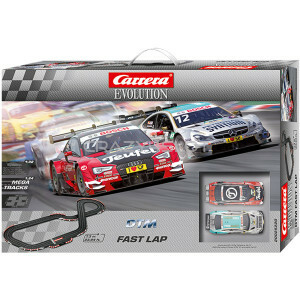 Pack includes: 1 A5 DTM M.Molina n.17 1 Mercedes C-Coupe DTM D.Juncadella n.12 ..
Carrera GO!!! 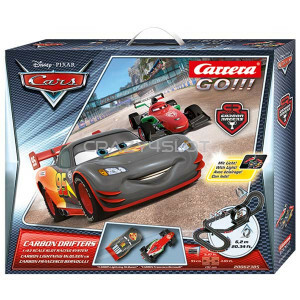 62385 Disney Pixar Cars® Carbon Drifters Set Pack includes: 1 Carbon Li..
Carrera GO!!! 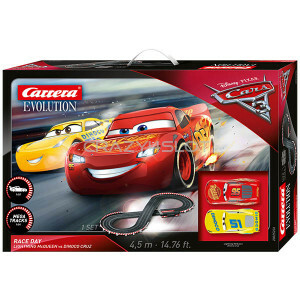 62416 Disney Pixar Cars® 3 Fast Not Last Set Pack includes: 1 Disney Pi..
Carrera GO!!! 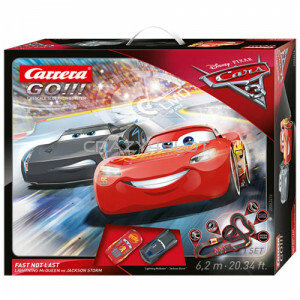 62422 Disney Pixar Cars® 3 Ride The Track Pack includes: 1 Disney..
Carrera GO!!! 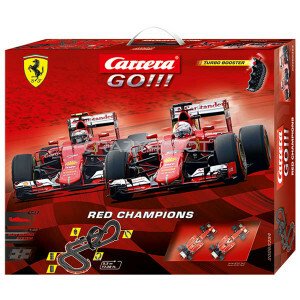 62394 Ferrari Red Champions Set Pack includes: 1 Ferrari SF 15-T K.Raik..
Carrera GO!!! 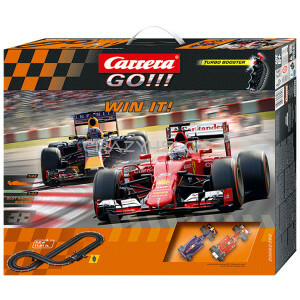 62392 Win It Set Pack includes: 1 Ferrari SF15-T Sebastian Vettel ..
Carrera GO!!! 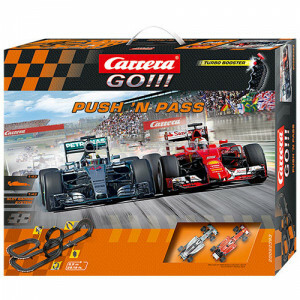 62393 Push'n Pass Set Pack includes: 1 Mercedes L.Hamilton n.44 1 Fer..
Carrera GO!!! 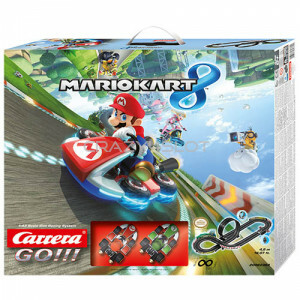 62362 Nintendo Mario Kart 8	Pack includes:	1 Nintendo Mario Kart ™ 8 - Mario	1 Ni..
Carrera GO!!! 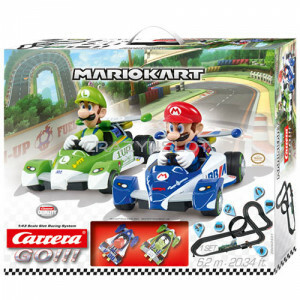 62431 Nintendo Mario Kart Circuit Special Pack includes: 1 Nintendo Mario Kar..
Carrera GO!!! 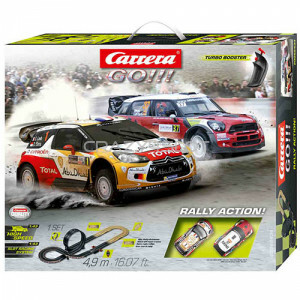 62346 Rally Kings Set Pack includes: 1 Citroën DS3 WRC 1 Mini Cou..
Carrera GO!!! 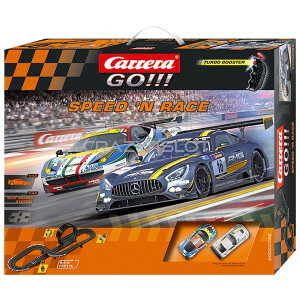 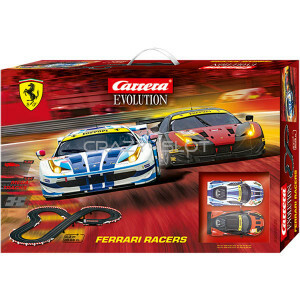 62396 Speed'n Race Set	Pack includes:	1 Ferrari 458 Italia GT2 AF Corse n.51	1 Me..
Carrera GO!!! 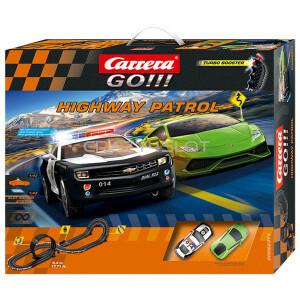 62371 Highway Patrol Set Pack includes: 1 Lamborghini Huracan LP610-4 G..
Carrera GO!!! 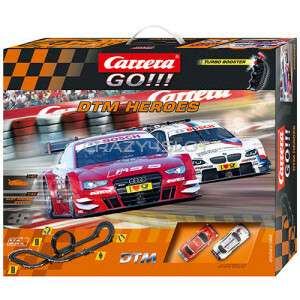 62388 Dtm Heroes Set Pack includes: 2 Carrera Go DTM cars 5 Stan..